Prior to doing an out-of-the-country solo journey, solo travel for me is tantamount to fear, isolation, risky, worry and boredom. Though these concepts were at the back of my mind, my journey in Turkey was actually my third solo travel abroad. And one highlight of this Turkish adventure was my visit to the Turkish cotton cloud known as Pamukkale. It has been a month yet I could still recall the exhilaration, joy and awe by the beauty and magnificence of Pamukkale. This huge and weird looking and shimmering show-white limestones along the mountain slopes are are such a view to behold. And while I explore the rugged terrain on what Turkish believed to be solidified cotton and dip my feet to the warm calcium-rich spring water that drips slowly to the mountainside, I could hardly believe I was able to get there. This made me realize that solo travel for me now is synonymous to independence, freedom, inventiveness, self-determination, creativity, self-indulgence and boldness! Kung ganyan kaganda, okay lang mag-isa. Pramis! Flying a hot air balloon seem far fetched and was never in my bucket list. It is because I keep my list achievable, rational and realistic. Though part of my bucket list is to visit the transcontinental country of Turkey, my flying a hot air balloon in Cappadocia was just in one of the plenty of things to do that I would not regret in case destiny would not let it happen. And when I stepped on the tarmac of Kayseri Airport (after a domestic flight from Istanbul), I already concluded that flying the hot air balloon would be next to impossible. It was snowing! Prior to going to Turkey specifically in Cappadocia, one travel tip I read in various blogs which I realized to be very significant is to book for a hot air balloon ride as soon as you arrived and checked-in in your hotel. Since hot air balloon ride is synonymous to Cappadocia, I suppose all hotels in Cappadocia has contacts to hot air balloon operators. A tourist must request/book for the soonest possible day of the ride because not all days in capricious Cappadocia would permit flying because of erratic weather conditions. And since Cappadocia just experienced the first snow of the upcoming winter, I already gave up the idea that I would be riding the world famous hot air balloon in this part of the planet. The hotel owner told me that it would be impossible for operators to fly for the next couple of days. He nevertheless told me that I am booked on the day hot air balloon flying resumes. On when it is, only the weather knows according to the hotel owner. But on the last night of my 5 days stay in Cappadocia while I was packing my bags for my return to Istanbul, the hotel owner was knocking on my door to inform me that hot air balloon ride resumes early tomorrow morning. That I got to be ready at 5:00 AM because a shuttle van will pick me up at the hotel so as to bring me to the site where all the preparations and flying happens. When I told the hotel owner that I may not be flying anymore because my flight back to Istanbul is tomorrow after lunch, he gleefully told me that all flying happens in the morning and that I will surely be back at the hotel by 10:00 AM. On the last night of my stay in Cappadocia, I concluded that part of the heavy snow that fell on my first day in Cappadocia must probably be fragments from a lucky star that were sprinkled by the heavens. I got to ride the hot air balloon! When our balloon was landing on the plains of Cappadocia, I have already concluded that riding the hot air balloon was one of the unforgettable highlights of my Turkey journey. It was so surreal, the exhilarating experience was actually more than achieving and crossing out an entry in my bucket list. I stepped out of the store to look around, but I noticed that it was only me and the man inside who were there in The Love Valley, all the rest of the Chinese tourists has left along with their big van. Feeling like a captive, I muster the courage to inquire from the man inside if taxi cabs passes by that area of Cappadocia. He says never. He relayed in broken English that taxis that goes to the Love Valley are at all times with a passenger who rented the cab to be driven around the sites of Cappadocia the whole day. this suddenly became the tastiest tea ever! With teary eyes, I asked the man if there would be a possibility to call a cab and ask its cab driver to pick me up in The Love Valley. Without any response, the man then stepped inside the inner confines of his store (for authorized personnel only area I suppose) and when he reappeared, a calling card of a taxi was in his hands. He then pulled out his mobile phone from his pocket and started pressing the numbers. When the man ended his conversation in his mobile phone, he told me that a taxi would arrive in about 30 minutes to pick me up and drive me to my hotel. He then told me that the whole taxi fare was worth 30 liras. I instantly agreed with the price. I was actually willing to pay more than that! Hahaha! The man then told me to sit, sip my tea and patiently wait for the driver. I instead, walked out and started to see again the beauty and magnificence of The Love Valley. I took another set of selfies of me with the valley and walked again inside the shop. I was so happy I wanted to buy all the merchandise inside the store. I could not control my happy feelings, I told the man that he is such an angel! While waiting for my cab without any tourist or buyer around, the man and I got to converse. I learned that his name is Darius, he is a Christian, living by himself in Turkey and hailed from the Muslim country of Iran. He talked about how he misses his family back in Iran and even relayed how difficult it was to be a Christian there. And when the taxi cab arrived, I could not control myself but to give Darius a big warm hug! I whispered to his ear… “You take care and may God bless the people like you” before finally bidding goodbye. While the cab was moving away from The Love Valley, I was humming Madonna’s 80s song entitled Angel. And when I was near my hotel only then did I realize that indeed an angel can appear in unexpected ways. And when I entered my hotel, I looked for the owner and thanked him for not letting me book the Red Tour option. He asked me why but I refused to answer. I gave him a nice smile and told him I need to get to my room to take some nap. Nakajima Koen is the end point subway station of my family’s recent journey from Osaka to Sapporo in Hokkaido. After reaching this station, the remaining thing that we have to do is to drag our luggage and walk for a couple of minutes for us to reach our designated hotel. Upon touchdown at Hokkaido, we only got to personally feel the snow with our very own hands when we got out of Nakajima Koen station. Everyone were so excited with knowing what the actual feel of the snow is, we literally left our humongous bags and luggage right at the doorstep of the station and ran towards the northern end of Nakajima Park which is located right above and outside Nakajima Koen station. And since its Japan, no one (of course) stole our luggage. The following morning when we proceeded to Nakajima Koen to ride the subway, we noticed that artisans are starting to work on their snow pieces so as to decorate, spruce up and embellish the park. 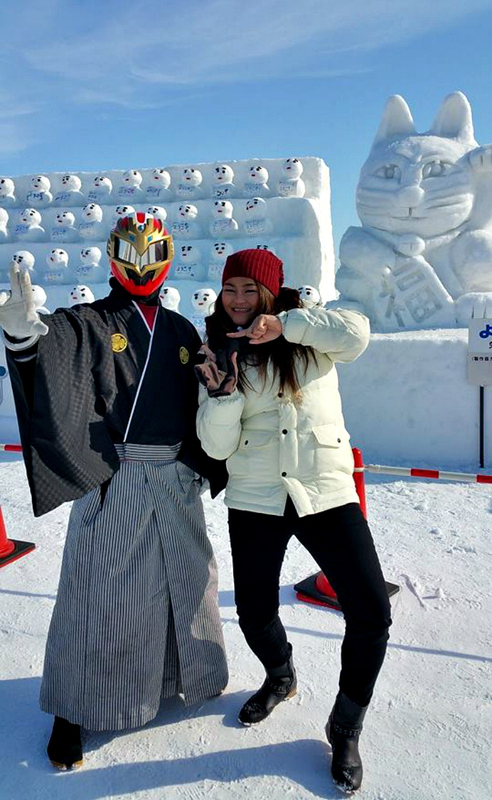 Nakajima Park is actually not part of the 3 major sites and venues of the Sapporo Snow Festival, but this park was transformed into something very dramatic to support and in a way reinforce and bolster the joys of the ongoing festival. 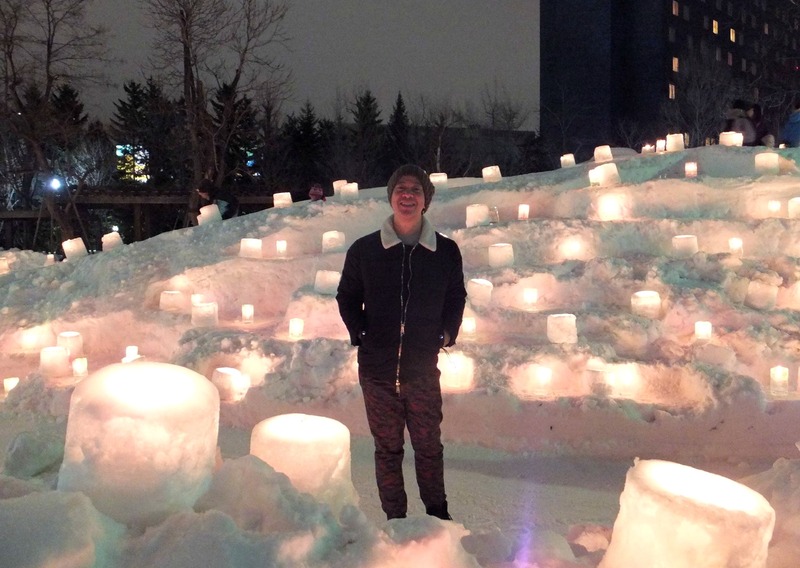 Nakajima Park turns out to become a ‘snow-lighted park’. Japanese call it YukiAkari. And after long and arduous preparations, YukiAkari will only run for three nights. Lucky for us because we were there when it opened. 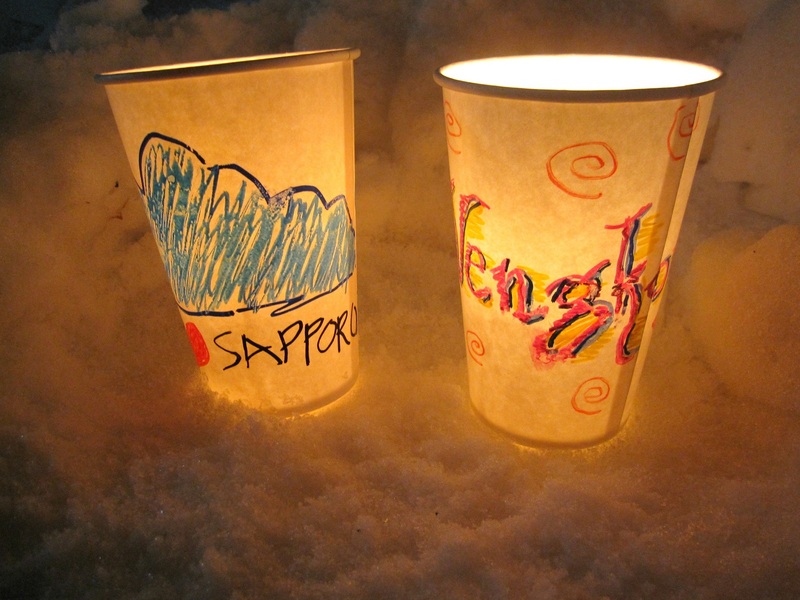 Inside the park is a small tent where you can draw anything on a paper cup (for free) and this cup will be turned into a lantern. 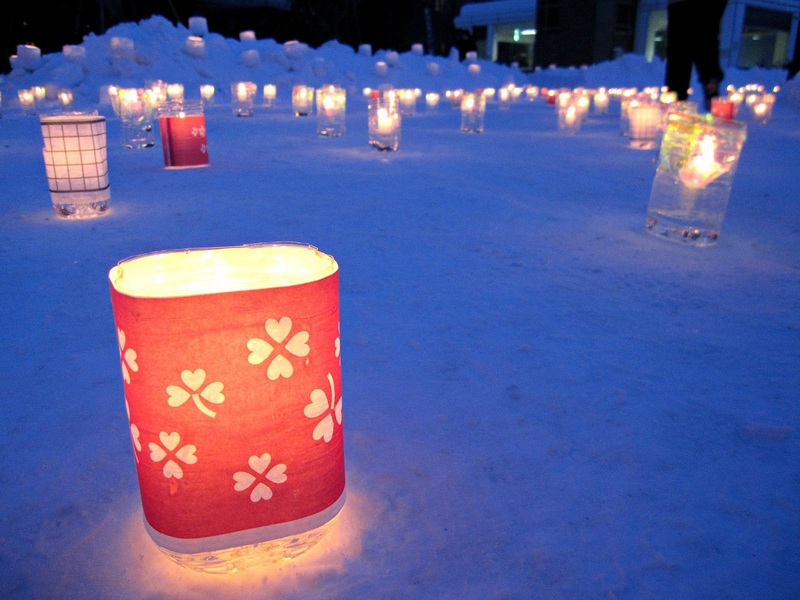 Your personal paper cup lantern in turn will be added as part of the park’s lighted decoration. 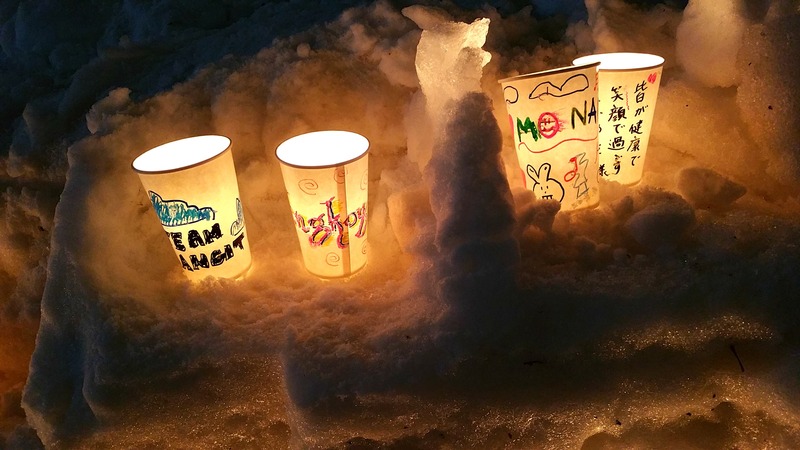 Those ice and snow lanterns are so pretty! 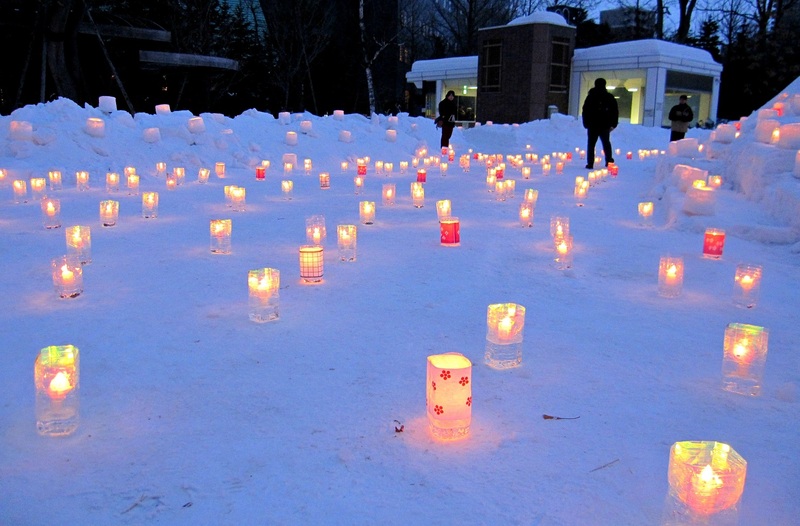 The pictures don’t really capture the atmosphere of the flickering candles in the snow. This has been my personal favourite among the amazing sites I saw during my family’s Sapporo adventure. 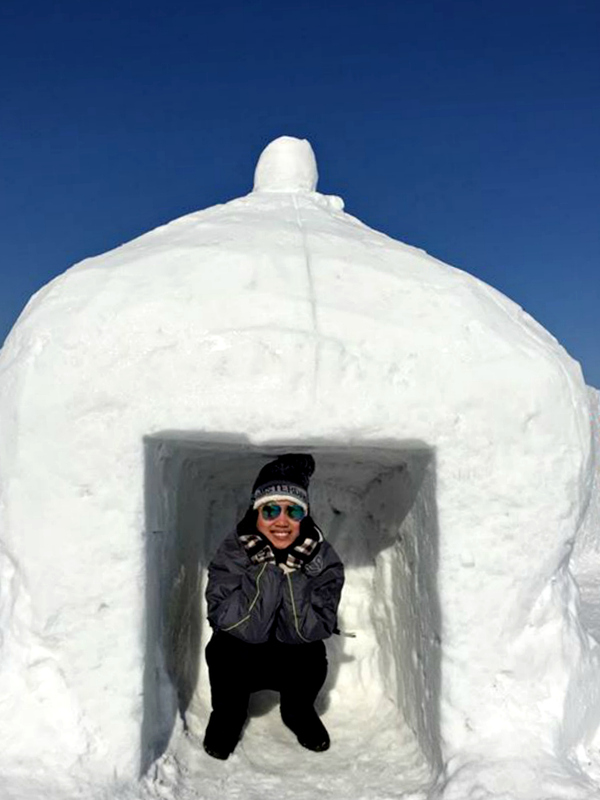 The first Sapporo Snow Festival venue my family went to before seeing the sparkling Susukino and the magnificent Odori Park is the white snow fields of Tsu Dome. This site is our first snow endeavour as a family. It’s so obvious that it is our first snow adventure because as soon as we arrived at the site the first thing me and my family did was to take shelter by getting inside a heated cabin and ordered the hottest instant noodles available! tsu dome! fun! fun! fun! It was the first day of the festival when we arrived at Tsu Dome. This is evidenced because the snow artists for the site’s snow sculpture exhibits has just started with their work. 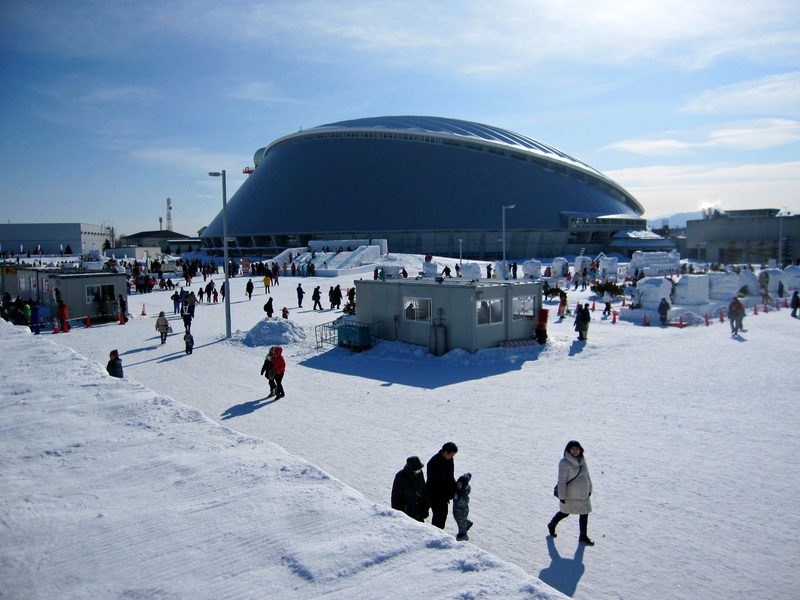 The distinctive character of Tsu Dome as compared to Susuki and Odori Park venues is that the features are family-oriented and the site is more interactive. 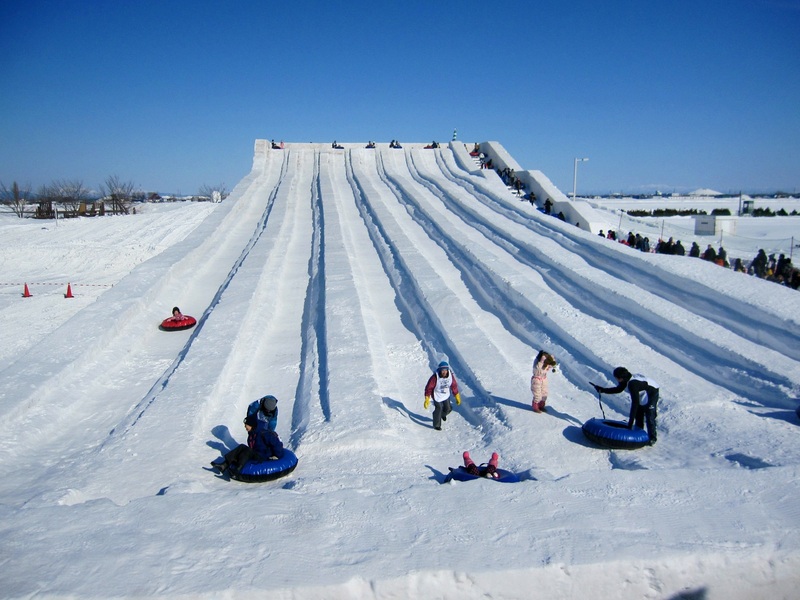 There’s a lot of things to do in the site that involves snow-related family activities. The site actually fits more to the children’s liking and I have never seen so much Japanese kids in my life until that day! 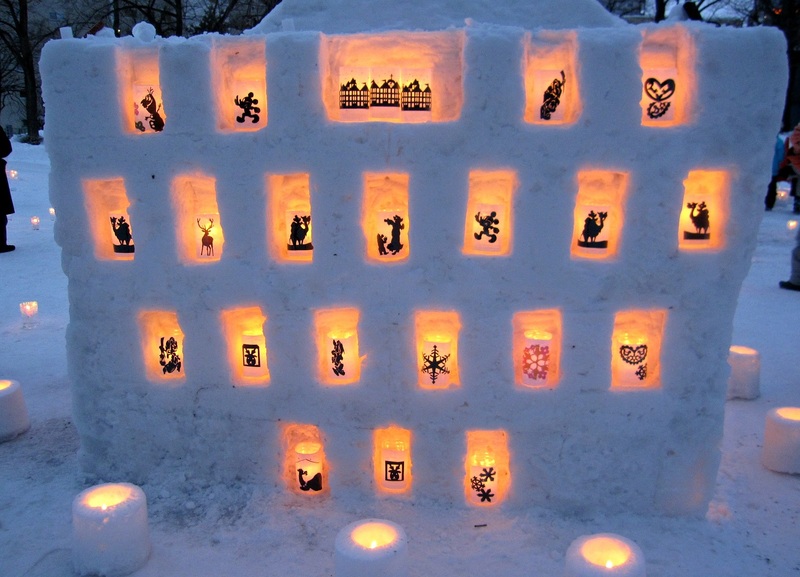 It’s the Sapporo Snow Festival that should not be missed if you have kids. 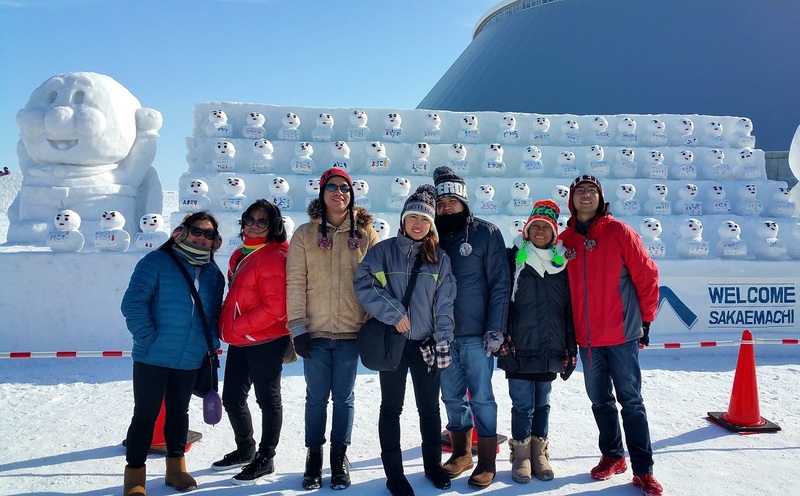 Good thing my genius nephews and nieces considered this place as the first site to visit among the three major venues of the snow festival. 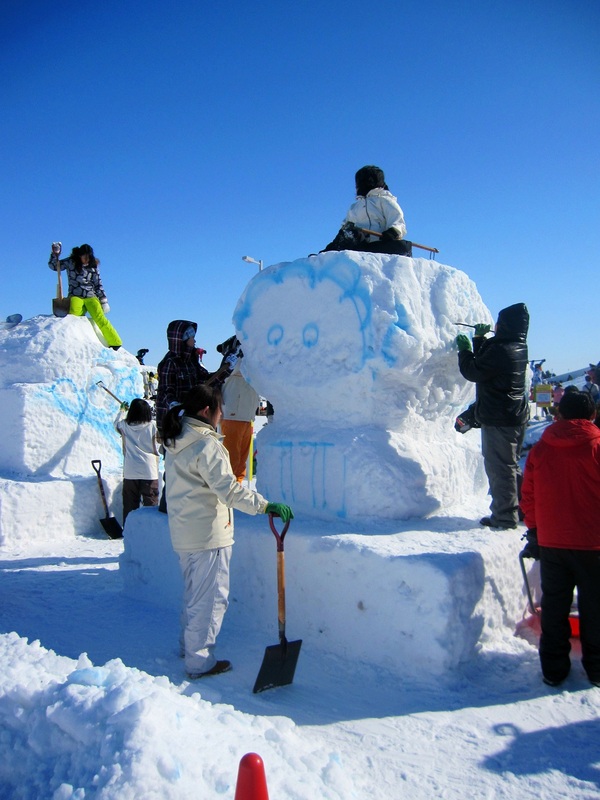 Otherwise, this site could have become a little boring if our itinerary started with the bravura of the giant snow sculptures of Odori Park. Anyway, aside from the outdoor snow activities, there are also lots of kiddie features, events and goings-on inside the imposing dome. 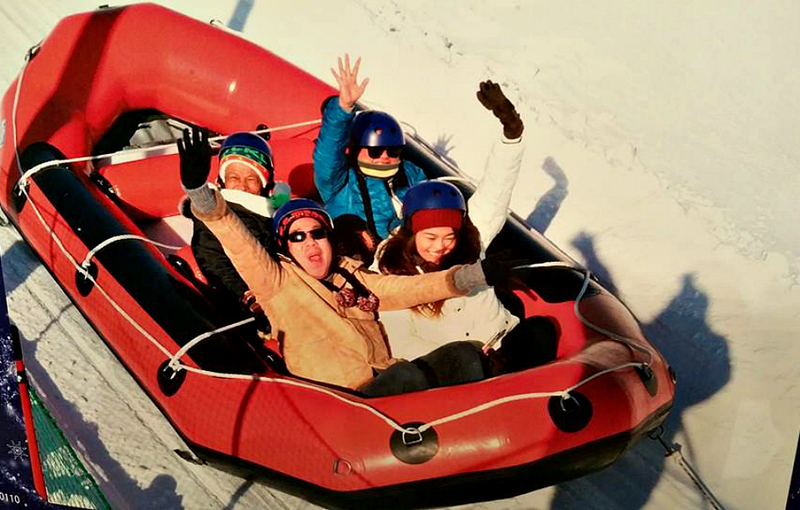 Channeling the kids in us, every one of us did the snow rafting ride as towed by a snowmobile. I, my younger sister, nephews and nieces also cracked the thrill offered by the gigantic snow slide! Tsu Dome was a nice start. 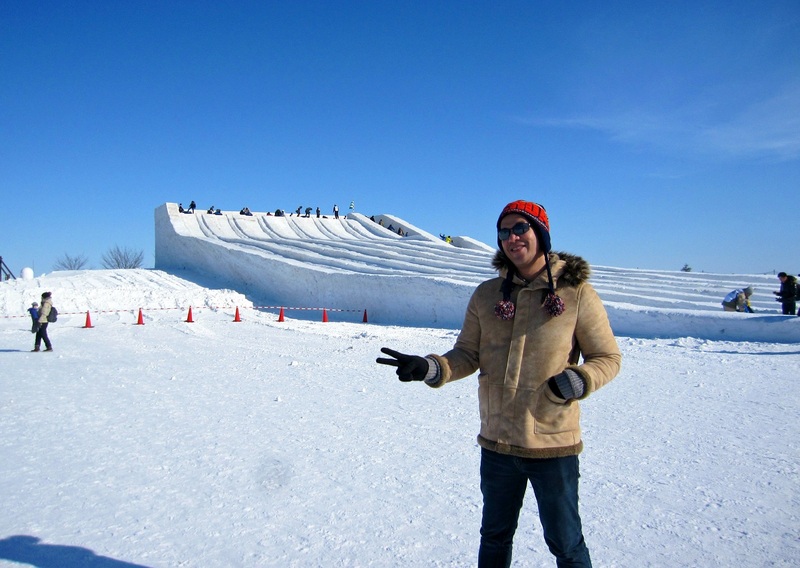 It was a pure clean fun site of the Sapporo Snow Festival. Ang kukyut ng mga bagets! Ang sarap pisil pisilin! 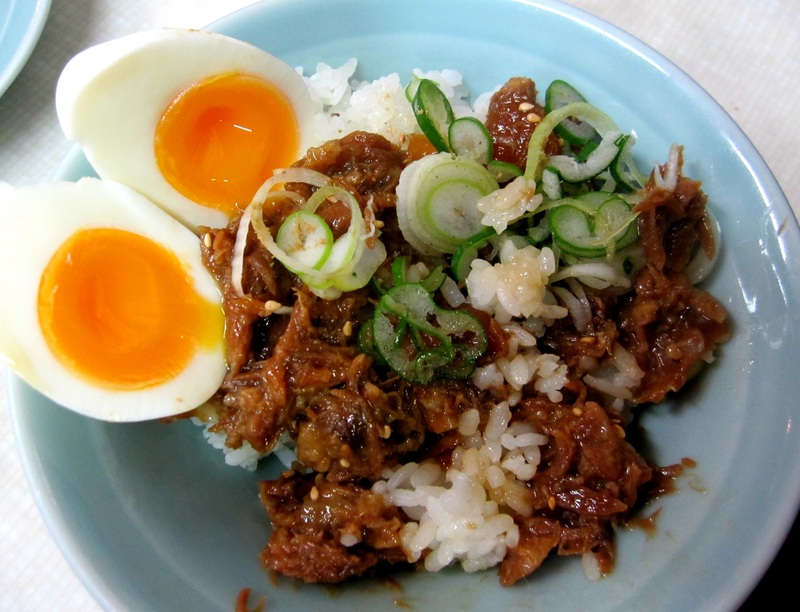 The non-negotiables when I’m travelling abroad with friends or family are the sights to see and the food to eat. I can scrimp on room accommodations and modes of transportation but the gastronomic exploits needs to be remarkable. Besides epicurean remarkability need not be expensive and extravagant. 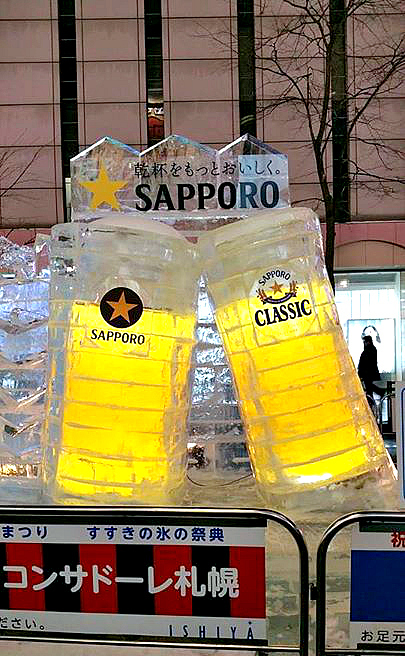 That is exactly what I and my family had when we were in Hokkaido. 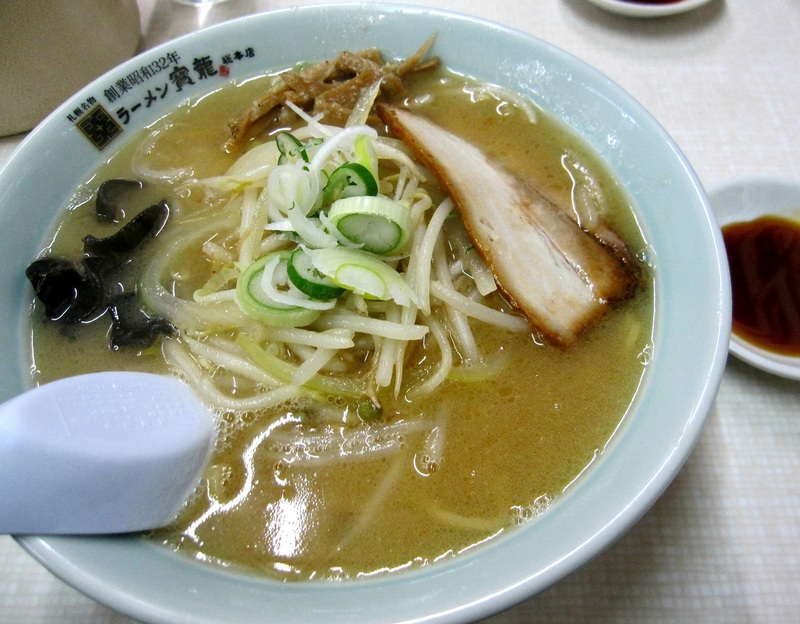 Since Sapporo is the birthplace of Miso Ramen, letting the humongous chance to try the authentic would simply be absurd. That is why we had Miso Ramen not once but twice while we were there. The enticement is just too strong that is why we tried twice which I classify as the old and the new forms. 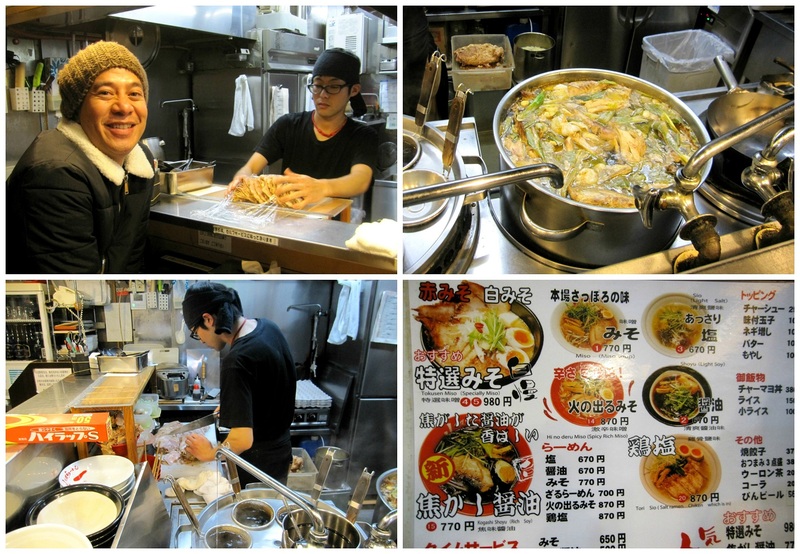 First stop was Horyu (TakaraRyu), a Sapporo Ramen specialist operating since 1957. Prior to going to Sapporo, we were not aware of the existence of this ramen house located right at busy street of Sapporo-Ekimae Dori. This was actually our first meal after our smooth flight from Osaka to Hokkaido. Everybody were so hungry we almost ended up eating inside a FamilyMart near our hotel. so hungry i wanted to eat the facade! 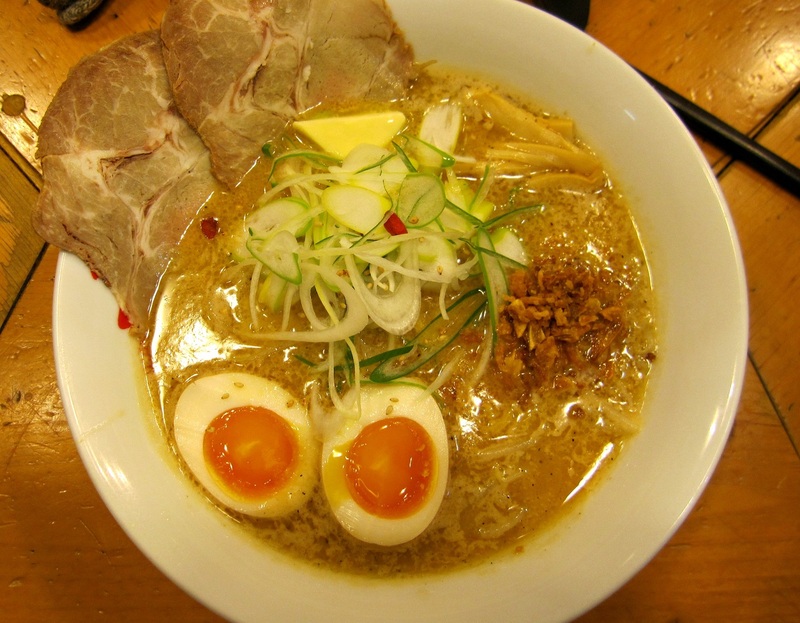 But thrusting and trusting my instinct on which food establishment to dine by the mere look of the façade, I urged my family to dine in this authentic Japanese ramen house. And by the looks, smell and taste of the special miso ramen served by Horyu (TakaraRyu), I can proudly say that my hunger instinct did not fail me that time. 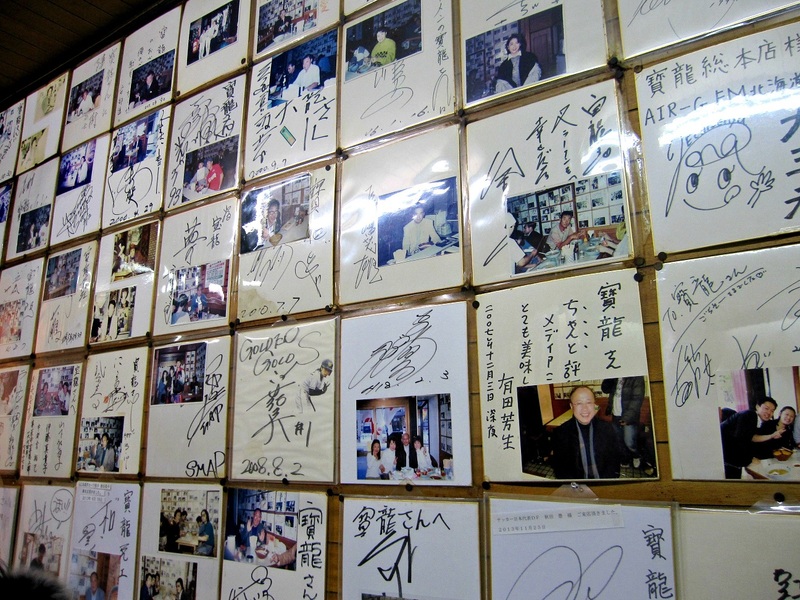 It is surprising to note that as you enter Horyu (TakaraRyu), photos of Japanese celebrities are posted on the wall enjoying their miso ramen. 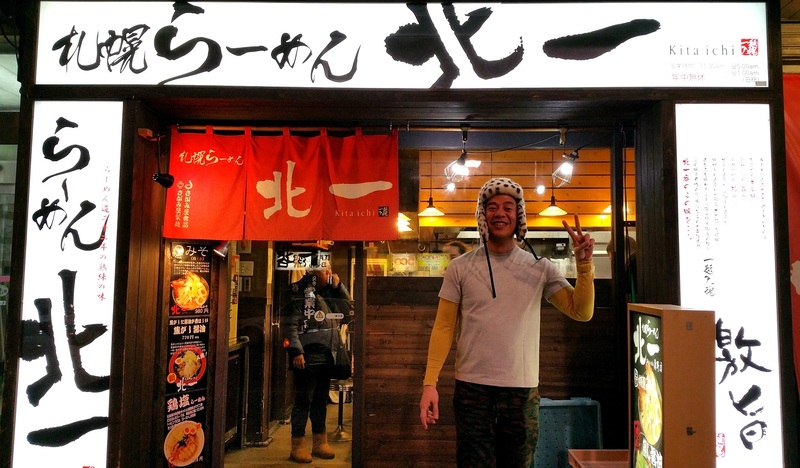 What is also surprising to know is that this restaurant has been awarded the Governor of Hokkaido Prize because of its traditional taste and old-fashioned way of preparing miso ramen. 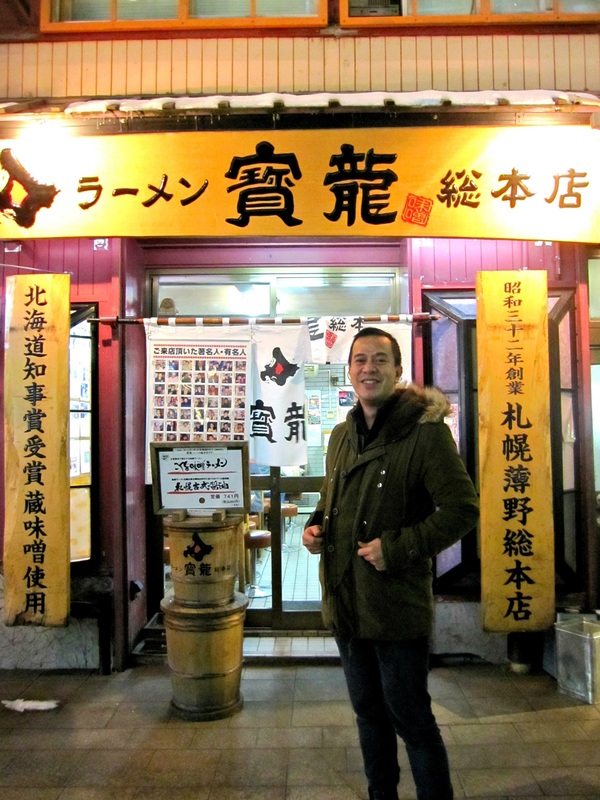 My further research about Horyu (TakaraRyu) indicates that this ramen house is a very successful and well distinguished food establishment in Japan operating in multiple branches in 9 prefectures in Japan. And the one we dined at (with a total of 29 seats only) was the main or premier branch were all its success started. Another opportunity we embraced to enjoy slurping the now universal classic Miso Ramen (aka Sapporo Ramen) was on the night when we just came from adoring the sparkling ice carving exhibits at Susukino. 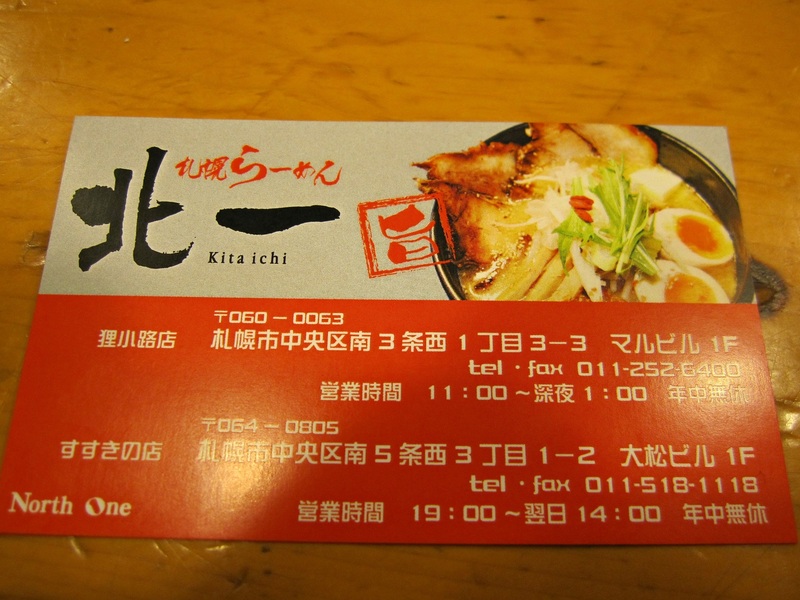 This time we tried the new and modern-day ramen house called Kita Ichi. As expected, I ordered the ramen with the biggest photo on the menu called Tokusen Miso, in which my nephew translated as high-grade or Special Miso. Kita Ichi is a new ramen house that is starting to swell and pop up like shitake mushrooms in Hokkaido. The outlet were we dined is actually not available/posted yet in Google (can’t find it!). 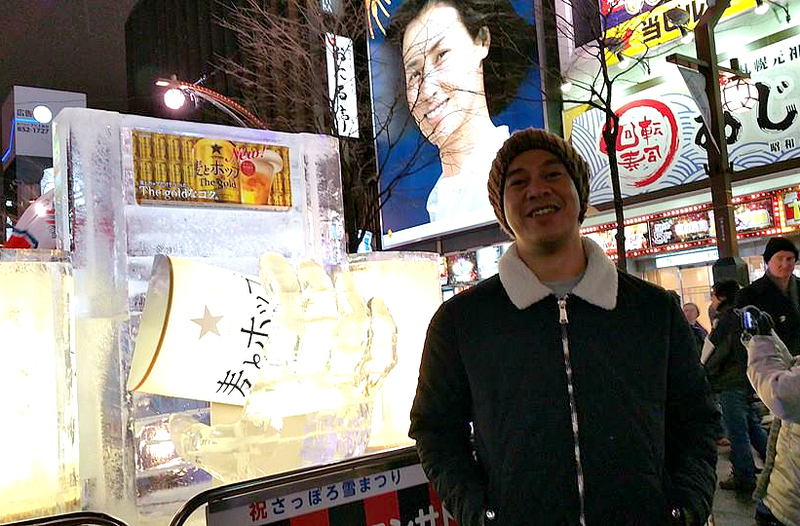 braving the freezing cold outside kita ichi! hahaha! 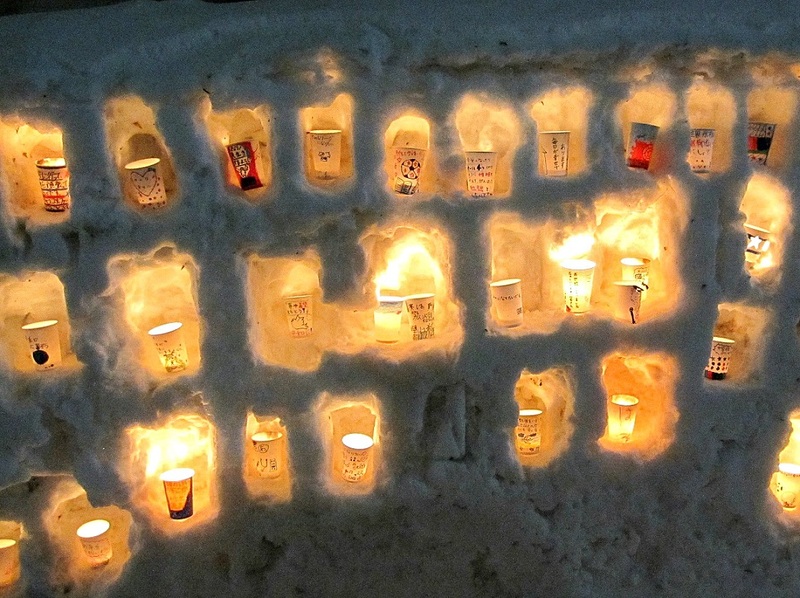 Another brilliant site among the most celebrated venues of Saporro Snow Festival is at Susukino, one of the dazzling and biggest red-light districts of Japan. 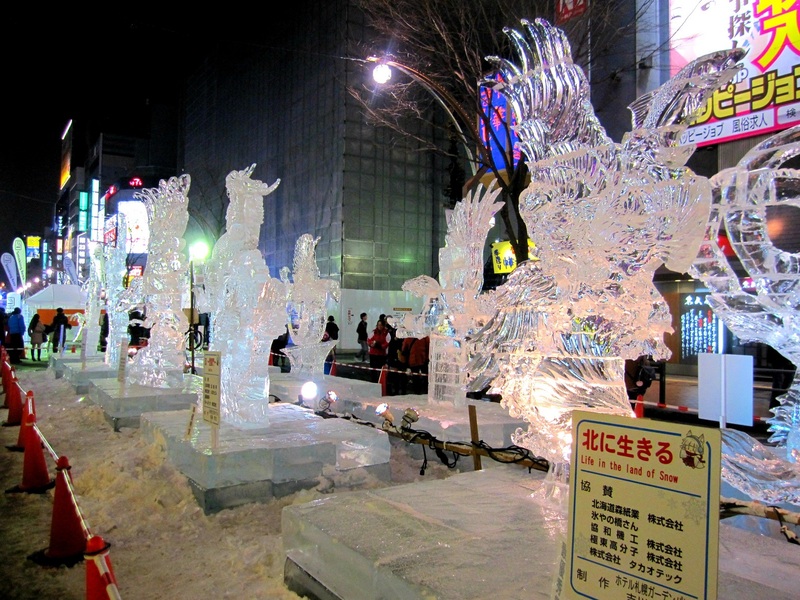 At Susukino, located at Chuo-ku in Sapporo, the festival features are not snow but ice. 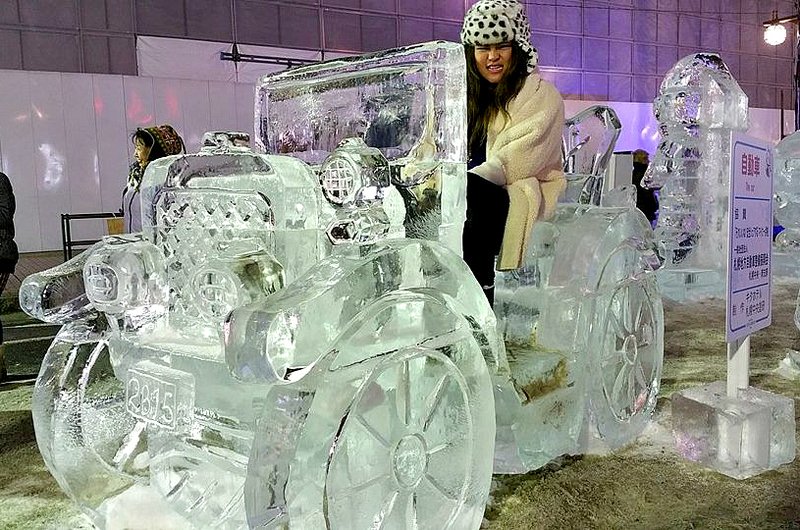 It showcases various ice carvings in intricate and mind-boggling forms. 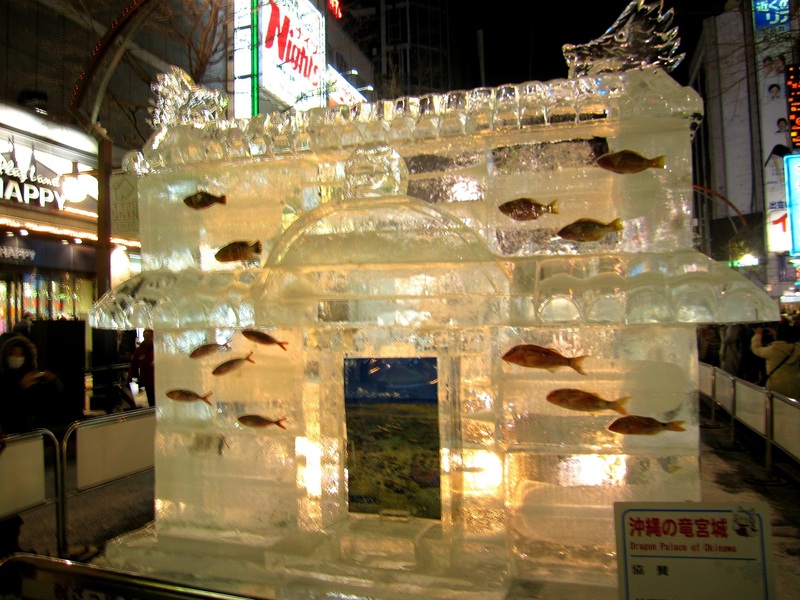 What I noticed is that these magnificent ice carving displays are entries to an ice sculpting contest. erika & denden… i heart susukino! 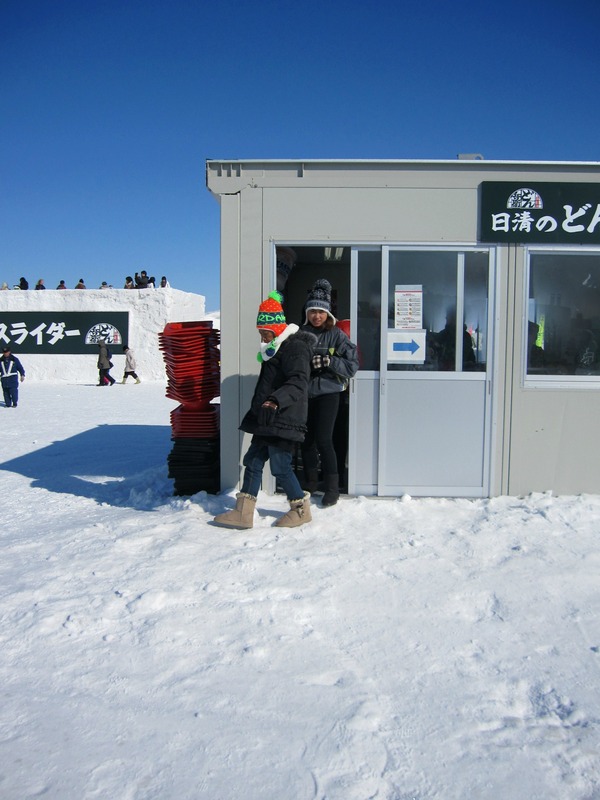 The Susukino site is totally different as compared to the gigantic snow highlights of Odori Park. 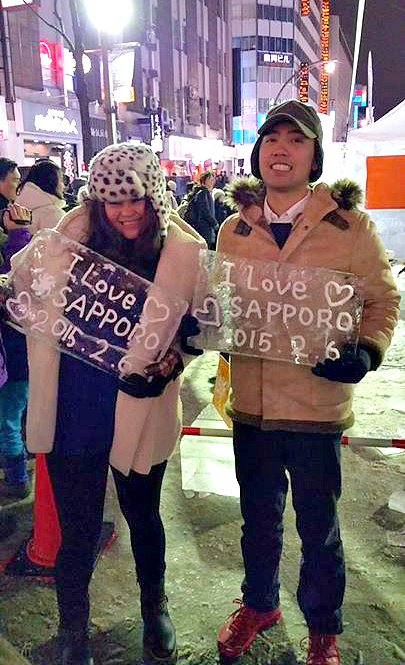 It is so evident that young Japanese folks in the area are not the usual reserved type. They were more care-free and expressive. Maybe it’s because of the booze since glittery selection of bars, alcohols and spirits are readily accessible within the area. The fun fab vibe and character of this site is similar to that of a huge street party spirit. 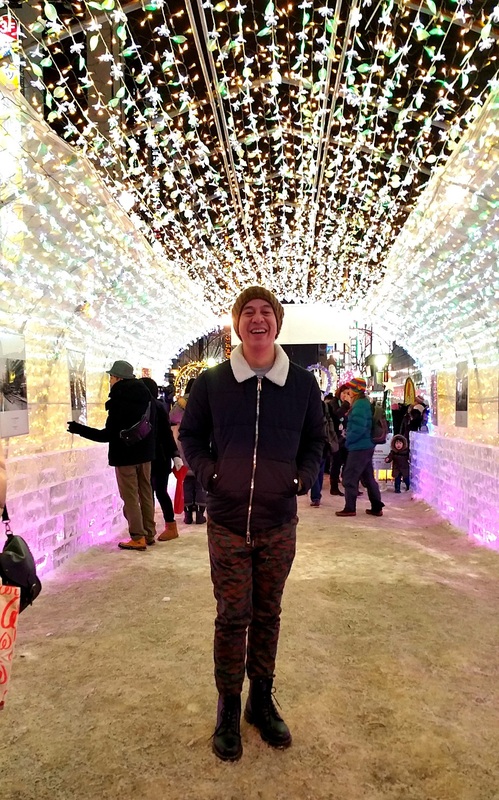 I had an undeniable fun at Susukino!